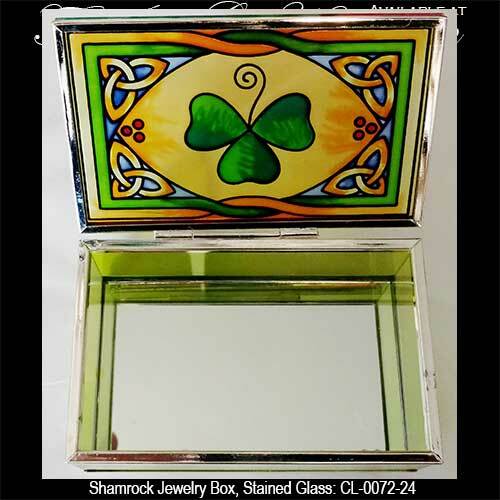 Irish trinket box features embossed shamrocks along with Celtic Trinity knot that is enhanced with faux jewels. This small Irish box is in the shape of a watering can and it would be ideal for jewelry or trinkets. 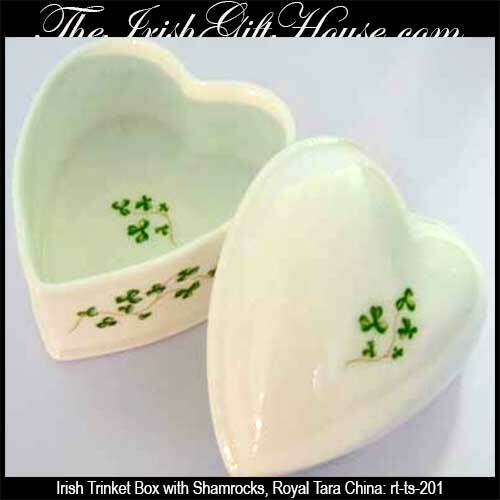 This small Irish box with shamrocks would be ideal for jewelry or trinkets. 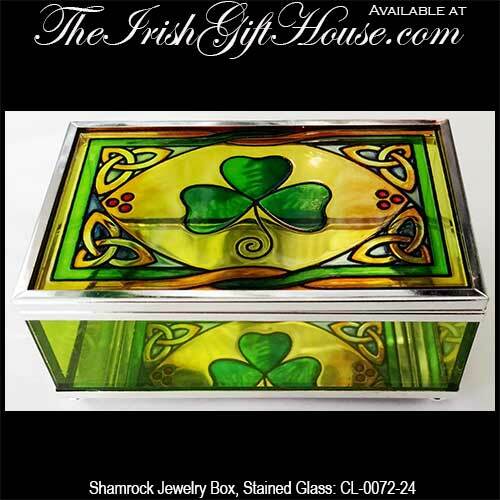 This Irish jewelry box is a two drawer wooden chest that features the shamrock. 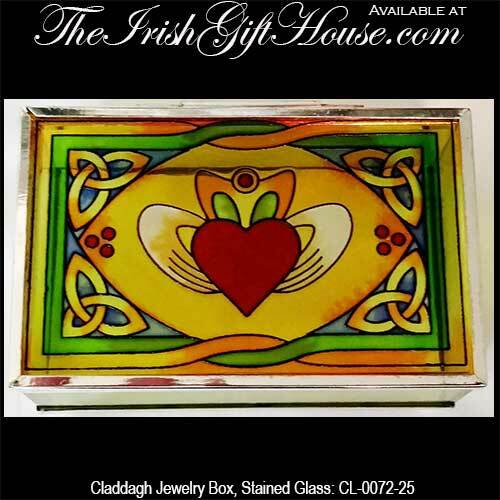 Sorry, this Irish jewelry chest is now sold out.